Marketing the modern way, if you want to feature your home on our TV Channel, benefit from social media, or be included in our printed and electronic magazine then call for a free no obligation valuation today. Victor Michael adopts several property-marketing strategies to effectively and efficiently sell your property, below are some of the examples we use. They are attractive, cost effective and a proven method of attracting potential buyers. We know videos are highly important in the promotion of your property online and now represents a high percentage of viewings. Our website www.victormichael.com plus our mobile version of the site. 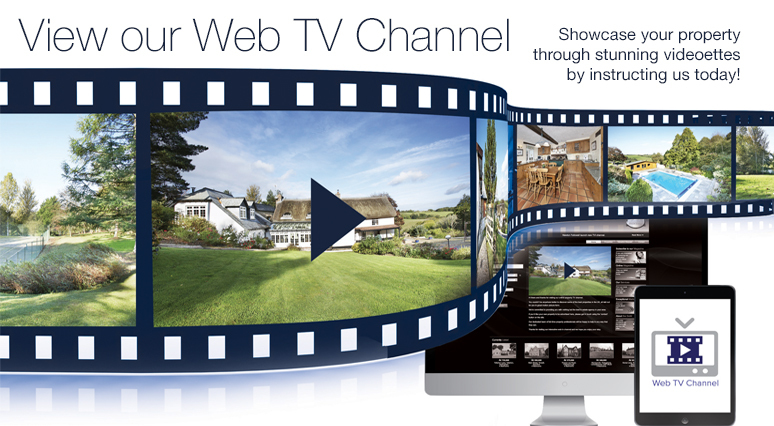 Positioned within a national search facility on over 750 estate agency branches TV websites. Connected with a share function to all the major social media channels, Facebook, Google and Twitter. News - watch our channel for the latest news about the property market and keep up to date with the latest economic news. 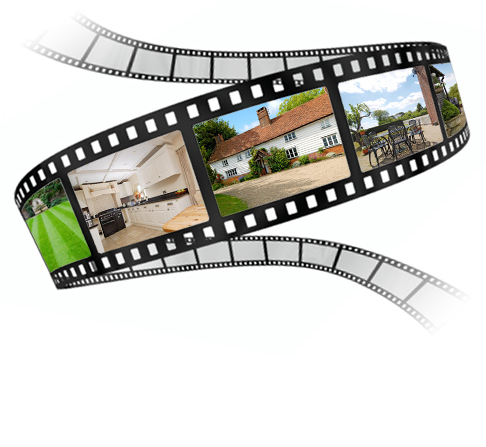 National search videoettes - Your property could be displayed on our TV channel across our national network of over 750 estate agency offices through the Guild of Professional Estate Agents. Animated property showreels - the TV channel displays property videoettes to active home-movers to give your property as much exposure as possible. Distribution of Videoettes - The property videoettes are also distributed to our website, YouTube channel, interactive fortnightly ezine, Rightmove and other major property portals. The social media world is upon us, this allows information to be broadcast instantly around the world. Your property is loaded on all social media sites, like Facebook, Twitter, Pinterest, Google, Instagram, Linkedin and many more. Achieve a better result using a member of The Guild of Professional Estate Agents like Victor Michael Estate Agents. Victor Michael are members of The Guild of Professional Estate Agents a national network of over 750 independent Estate Agent offices. External touch screens at their Park Lane property centre showcase all there properties to the lucrative London and International investor market 24/7. With a network of over 750 members. The Guild website provides a national property search ensuring broad visibility for your property. Guild members are highly informed agencies with access to leading market intelligence systems. We advertise all our properties on property portals like 'Righmove' and 'On the Market', these platforms allow your property a wider audience with millions of hits a day contributing to more traffic ideally raising your properties profile. We are regularly asked to appear on TV property shows to give our expert opinions, shows like Homes Under the Hammer and Location, Location, Location. Our knowledge of East London and Essex is well respected. We have two types of boards with two different colour schemes, our unique branding and name makes us stand out on a road or street, when people pass or drive by your property. This does certainly attract potential purchasers or renters and this in turn increases your online traffic of viewers. Our Premier marketing option is represented by our Green estate Agency coloured board. As part our presentation we will produce a bespoke property brochure that will detail the particulars of the property in great depth, these will include photographs of the internal & external fabric of the property and any outside buildings, gardens and driveways. Floor plans will be laid out within the brochure and a copy of the energy property certificate as required by Law, these will be incorporated for information purposes. The key to advertising your property is the quality and presentation of the photographs that are taken and produced, its very important to showcase your property in the best possible light. This means that time should be spent cleaning and tidying each room to highlight a non cluttered atmosphere. You may even consider a fresh coat of paint on the walls and ceilings. We like to apply a scientific approach to our direct marketing campaigns; the starting point is when best to sell your property. We use property intelligence systems to allow us to identify the peak periods of home sales locally or regionally and identify patterns that emerge. We use a marketing system that allows us to identify the right - demographic audience for your home, looking at age group, financial status, life -stage and current residential property of potential purchases. We are able to cross populate the demographics of your potential purchasers against the local population and market your home directly to that audience. Every chimney pot within the local area is identified, analysed and directly targeted with Victor Michael unique marketing material. We produce a fortnightly magazine that highlights your properties. The magazine is distributed electronically to all potential registered purchasers and we also circulate to all doctors, dentists, solicitors and accountants in our local areas.